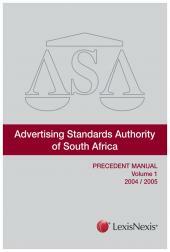 Advertising Standards Authority of South Africa is the official Code of Advertising Practice of the Advertising Standards Authority of South Africa. 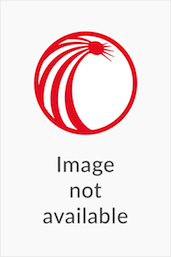 The Independent Broadcasting Authority Act No. 153 of 1993 imposes a statutory duty on all broadcasters to adhere to the Code as determined and administered by the Advertising Standards Authority (ASA). 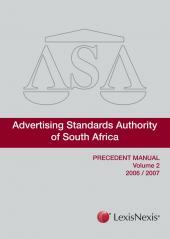 The Code of Advertising Practice lays down the requirements of professional conduct and sets out the self-imposed limitations accepted by those using or working in advertising. This publication is updated annually keeping subscribers abreast of new developments. Definition of a "cosmetic product"
Use of the word "pure"
Muscle toning or "centimetre loss"